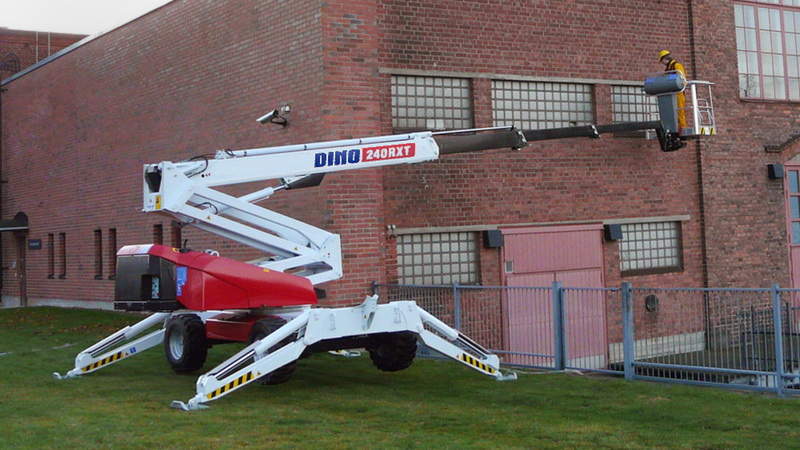 The DINO RXT weighs below 5 tonnes – it is easy to operate on soft surfaces, it has a smaller engine with lower fuel consumption. Lower operational costs overall! 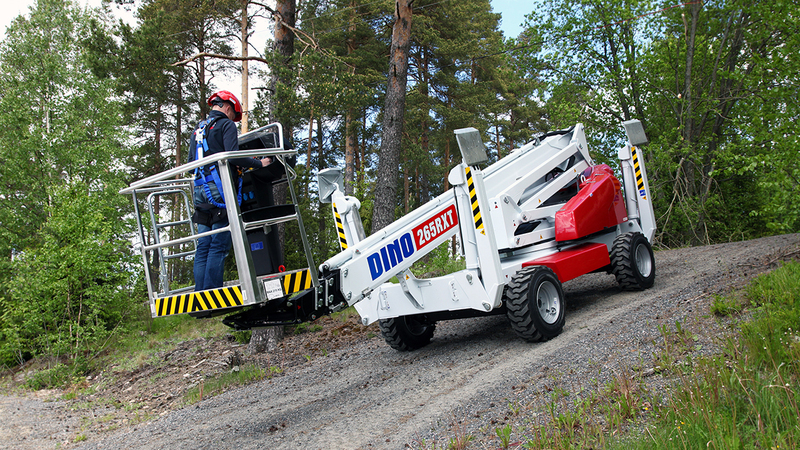 The DINO RXT moves easily in difficult terrain with a gradeability of up to 40%. The oscillating axle has a 16° total range of motion. 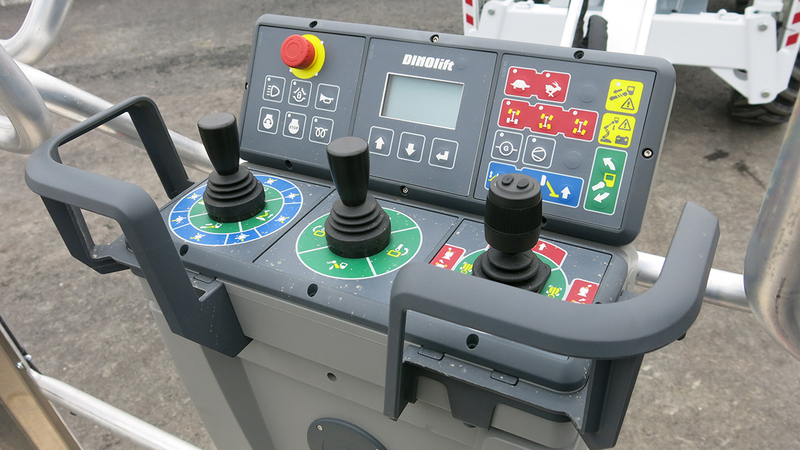 The DINO RXT has three different steering modes, 2WS, 4WS and Crab steer. 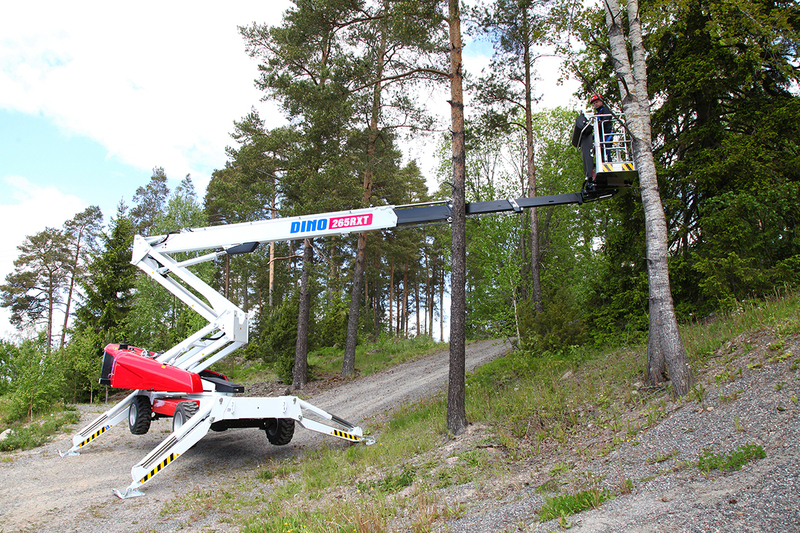 The new 280RXT has an improved, simple to use, upper control box which allows for improved visibility from the basket. 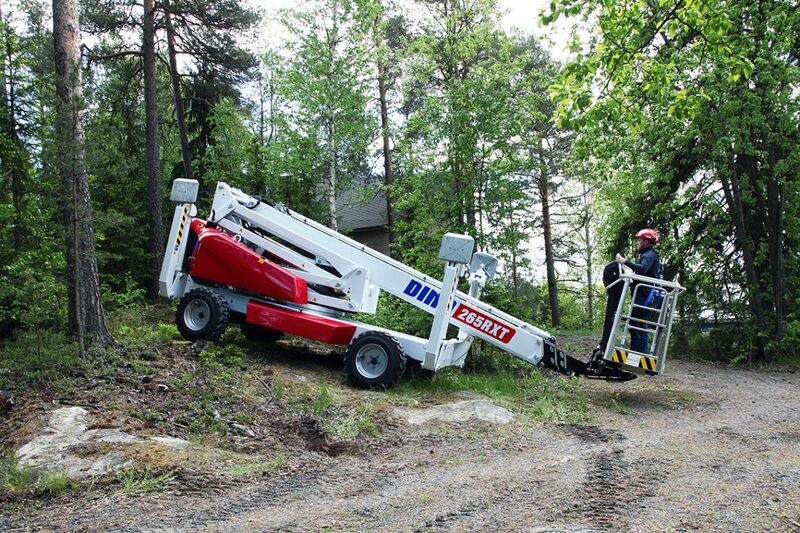 The DINO RXT series of self-propelled MEWPs is the right choice whenever there is a need to work on soft or inclined ground, or whenever there are weight restrictions in the work site. 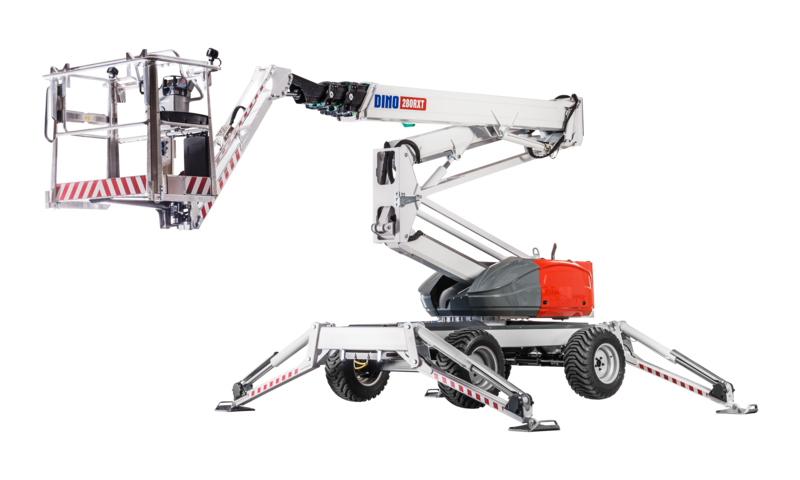 The powerful Kubota engine combined with the low overall weight and low center of gravity of the machine allows to move easily even if ground conditions are difficult. 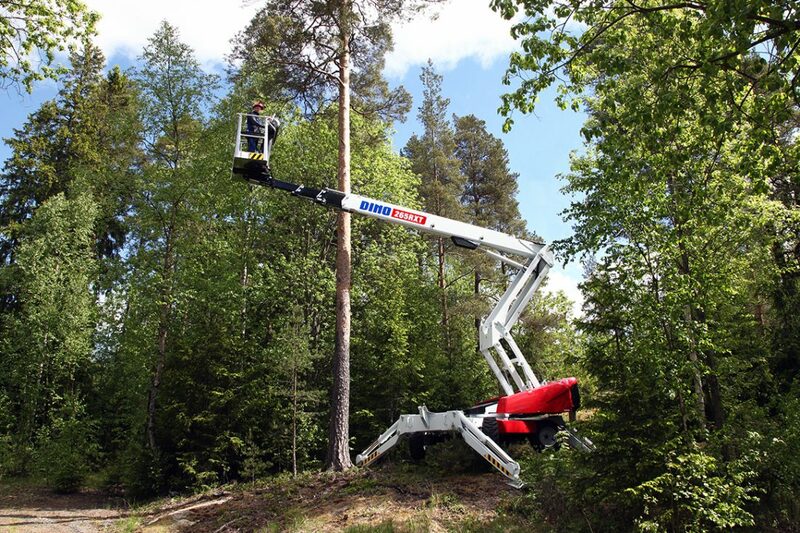 Automatic levelling in up to 8° inclination adds to the versatility of the machine. 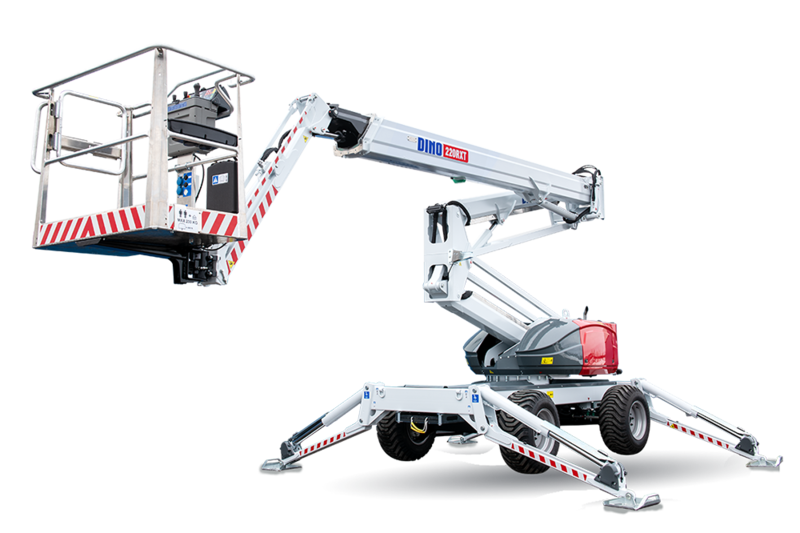 Thanks to the overall weight of max 5 tonnes and the outriggers, the RXT machines can be craned up onto upper floors of buildings during construction. Also, the low weight means not getting stuck in mud or damaging gentle surfaces whether it is outside on grass or inside on gentle floors. 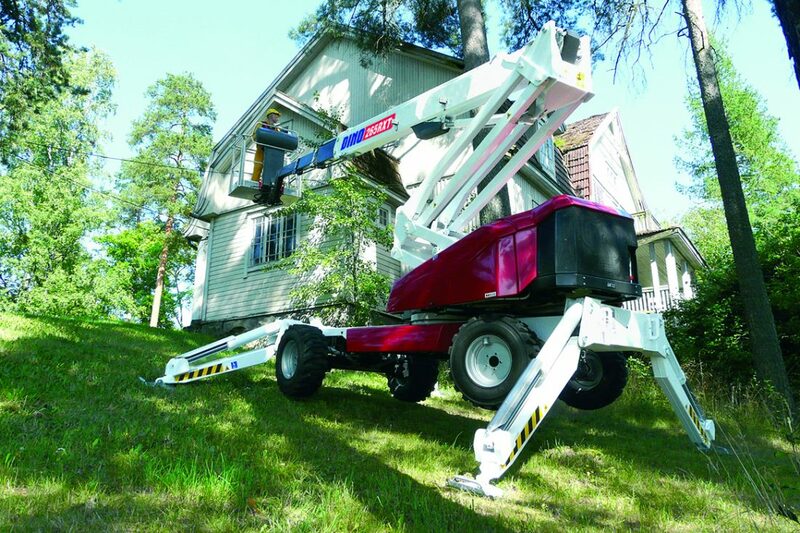 For use inside buildings, or in areas with restrictions on emissions or noise, the RXT can be fitted with an electric motor for operating boom functions.